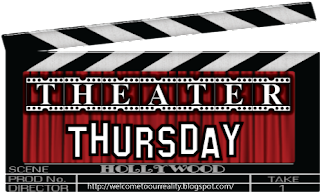 I'm on my way back from Florida today, so this is a scheduled Theater Thursday! This week's featured movie is Making the Grade. Palmer Woodrow (Dana Olsen) has been kicked out of 7 prep schools. His dad is threatening to cut him off financially if he doesn't graduate this year. The problem with that though is that Palmer only wants to have fun, drink beer, travel and play golf. When he un-expectantly runs into a homeless teen, Eddie Keaton (Judd Nelson) an idea instantly comes to him. Palmer decides to pay Eddie to finish his last year of prep school. Supervising him on a daily basis will be fellow student and his Palmer's best friend, Rand (Carey Scott) who will also be compensated for being in on the plan. Eddie who's being sought out by his bookie for not paying up, more than willingly agrees to the idea and heads off to the ivy league school. Once there Palmer, now Eddie, runs into a beautiful girl, Tracy (Jonna Lee). However, Tracy has heard of the real Palmer's reputation and wants nothing to do with him. Eddie who's trying to be Palmer but still be Eddie has a hard time letting his old ways die out. Through out the school year crazy incidents, scandals and laughs happen. 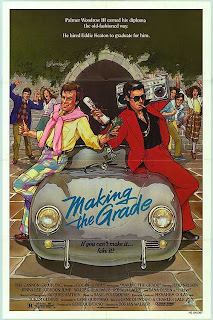 If you've never seen this classic 80's movie then you must go out and find it! Never heard of this but I really want to see it. Netflix time! I have never heard of this one! But I did see Pretty Woman on TV the other day and it was as fabulous as I remember! A movie I have never seen! I have added it to my queue!